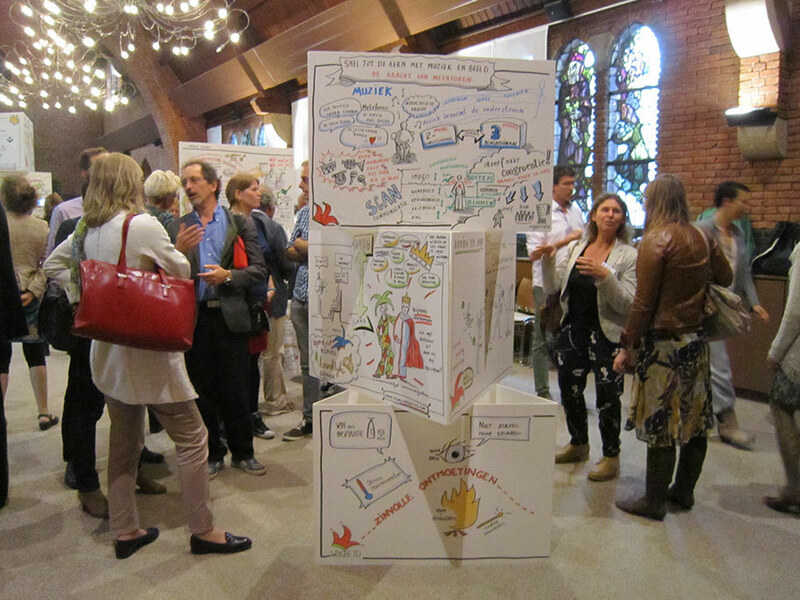 A Visual Facilitator and Visual Harvester does more than making a dull meeting feel alive. 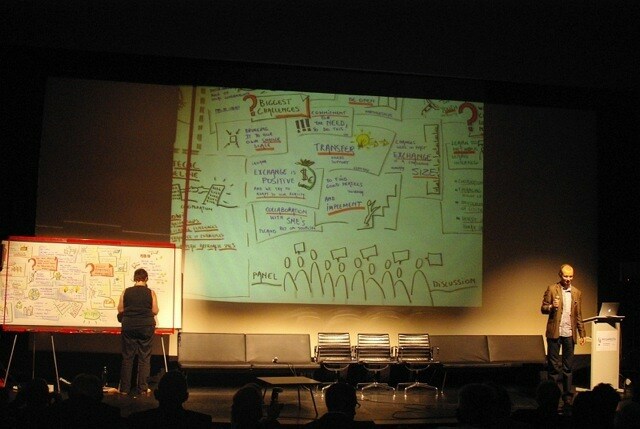 Visual Harvesting brings conversations to life and adds a visually inspiring component to presentations and discussions. Themes and insights are translated into visual stories. It captures the essence. Participants become ambassadors; they take the message and become advocates of it. It is a powerful way to create memorable, organized and accessible communication.You might think this is about making colourful notes, but actually it is drawing for thinkers. It’s synthesising the information and repackaging it in a way that really excites an audience.Or you might think it is illustrating or cartooning. Well, in fact you can call this work strategic illustration. It’s about a visual image of what people say and think. Through handmade sketches you get visual insights in complex matters. Visual Faciliation and Visual Harvesting is about producing results. You could see some similarities with mind mapping. Actually it’s not that linear or hierarchical, as a visual harvester I lead and capture the flow and dynamics of the event.It’s visual storytelling. As a corporate organisation, planning a big event where you are going to have the top people in your teams, you want to make very minute count. You want to ensure everything runs smoothly and produces great results. You plan for success from the beginning. As the saying goes… you can’t harvest what you’re not seeding. If you want effectiveness, usefulness and humanness and if spreading the content to a larger group after the meeting are your goals, you might want to choose for real time recording on the wall or a very large flip-chart. 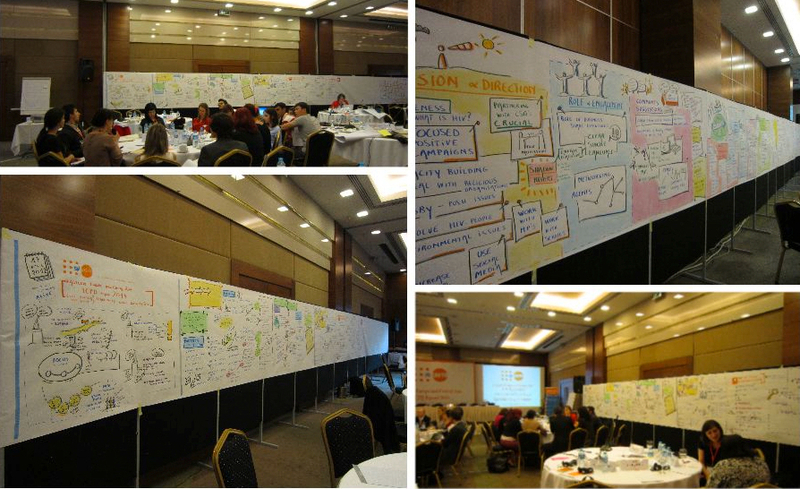 If you’re organising a conference with a large number of participants, you might choose for digital visual summaries, made on the spot or via a remote connection, ready to distribute in pdf form right after the meeting. If you want a large group to see the visuals grow, you might choose for projecting what emerges on a large screen. By subscribing to our newsletter, you provide consent that your e-mail adress is being used for the sole purpose of receiving our regular newsletter. You can subscribe from our newsletter at any given time through the provided url in the newsletter.